On to the prompt! I love a good platonic friendship, and it’s something I always look for in books. I tend to be put off when a main character only has a strong amorous relationship, and no friends. Like when a girl is surrounded by dudes, and only feels attractions towards them, but there’s no real trust there. It is possible to have both feelings of romantic and platonic love of course. My #1 example of such comes in the form of a blonde bombshell with clairvoyant abilities. Gee I wonder who it could be!? Why it’s Paige Mahoney from The Bone Season, of course. Samantha Shannon creates an amazing found family in The Bone Season. I love how she digs in to each of the characters she throws together in deep and interesting ways. No one is quite what they appear to be on the surface. For Paige, her friendship with Nick is one of the most important relationships in her life. She did feel something romantic for him, and if you are familiar with the books you know how that plays out and why. I think Samantha Shannon does an excellent job of building a solid platonic friendship between the two and I love seeing them work together throughout the series. If anything bad ever happens to Nick, I will mutiny…or just write a grumpy blog post whichever comes first. Let me know your favorite bookish best friends! Have a great weekend! ← WE ARE HERE FOREVER Arc Review: Your new best friend? 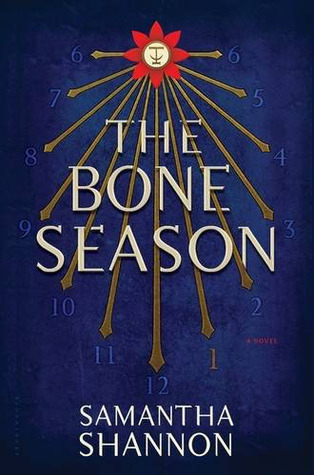 Every time you mention The Bone Season it makes me want to buy that book again. I had it for a while but it got purged one year and now I’m questioning why I did that. Also it was fantastic to meet you! I wish we’d had more chance to hang out but cons are busy! Maybe next year if we both end up at ECCC again! I’m definitely thinking about going again! It depends on what authors are there but yeah I would love that.